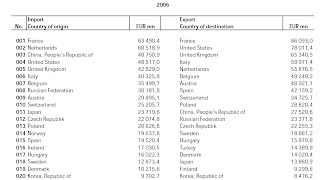 On bank flows, bank borrowing from abroad remains by far the largest source of foreign financing for Latvia. 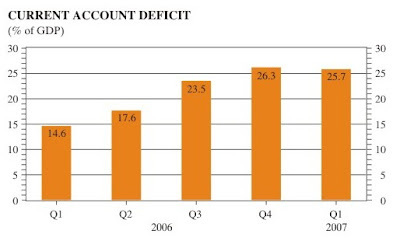 If we look the current account deficit we will see it has been growing rapidly (see chart below, data 2004and Q1 2005 through Q3 2006). By Q3 2006 it was running at a negative rate of 1,269 US$ million, but as can be seen this is effectively covered by other items in the capital and financial account. 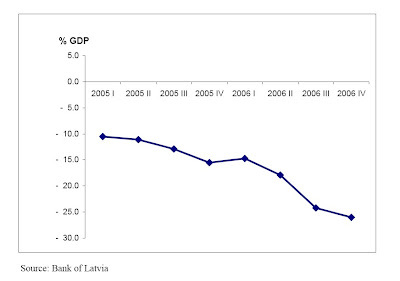 During the first three quarters of 2006, for example, other investment (which is predominantly bank borrowing) arriving in Latvia came to US$3.3bn, which was some US$560m more than the entire current-account deficit for the period. 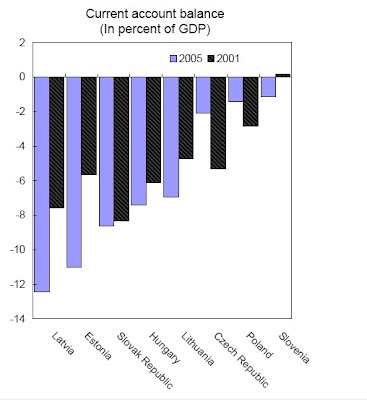 Evidently such foreign borrowing by Latvian banks has increased the external debt position substantially, and at the end June 2006, Latvia's net international investment position was some US$11.1bn in deficit, a quantity equivalent to around 80% of nominal GDP. Obviously an inward funds flow running at this level puts a significant cap on the ability of the fiscal measures to achieve their desired effect, and hence the emphasis from the IMF on institutional measures to get the levels of bank lending under control. 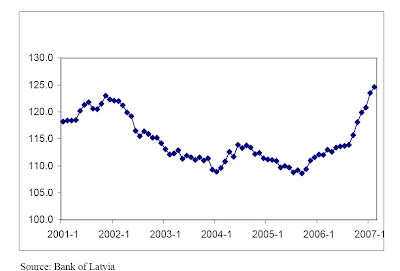 According to the Bank of Latvia "parent banks of Latvian major commercial banks in Scandinavia have expressed their readiness to reduce the lending growth gradually", however, in Q1 2007 "net loans to Latvian banks reached 23.9% of GDP, a 4.2 percentage point increase over the average of 2006". Well, as they say, it is early days yet. 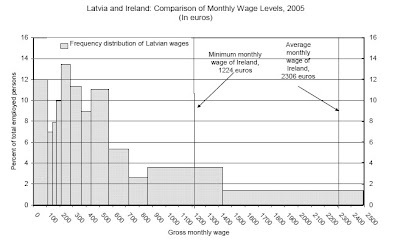 In fact, if we look at the chart below, we will see that during 2003 the rate of out migration from Latvia seems to have dropped substantially, and given what we know about the post 2004 out migration boom, this, on the surface, seems strange. The answer to this puzzle is to do with the Russophone population who are not Latvian citizens (and therefore logically at this point not EU citizens either). 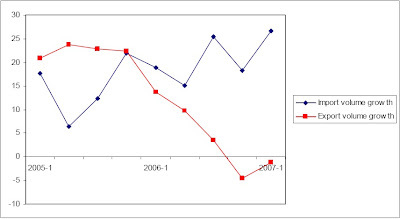 The majority of the pre 2004 out-migration was actually towards the CIS, and it is reasonable to assume that many of these migrants came from the Russian speaking population. And this process is not over as this recent article from Itar-Tass about a joint project to settle Russian speaking Latvian residents in Kaliningrad makes clear. The biggest news in Europe at the moment could hardly be said to represent the economy which for all intent and purposes is moving along just fine (or is it? we will see below). Rather, the interesting issues at the moment seem to be what Sarkozy, with his recent second-time victory in the national assembly, will do in terms of labour market reforms and the promised fiscal strategy (see latest entries and sources on Eurozone Watch and Eurointelligence for much much more on this). Also and perhaps more important it seems as if the political stage in Europe, after having spent more than 2 years on the canvas following the knock-out from the French and Dutch refusal to the Constitution, is finally read to take up the baton again on the summit starting today in Bruxelles. This time it seems as if the playbook prescribes that the constitution (or whatever we call it) should be stripped for anything which might, oh dear oh horror, lead to a popular referendum in member countries. Once bitten, twice shy it seems. Perhaps though, Europe's political leaders should be less worried this time around as this FT article reports that support for the European Union amongst member states' population is at an all time high mainly on the basis of the strong economic sentiment. But then again, what is it with that economy? 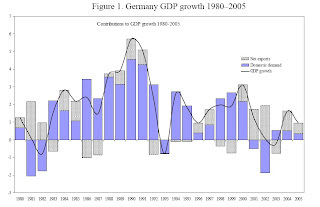 Let us begin with zone's largest economy Germany. The first thing to note here is that investor confidence declined in June for the first time in several months. This of course should be seen in the context of recent months' buoyant sentiment but it still suggest, as I have noted on several occasions recently, that growth in the Eurozone is waning off going further in 2007. More importantly on Germany is to gauge the perceived inflationary pressures from past and upcoming German wage round negotiations, something which has promted much attention from the ECB as of late regarding the impetus to continue raising rates. 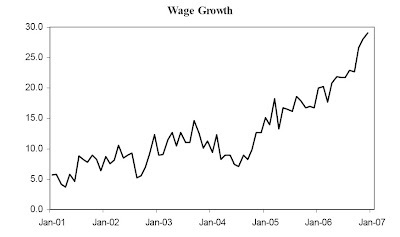 First of all we learned that annual wage costs rose by a puny 0.1% in Q1 2007 something which I personally find somewhat surprising even if I did not, in the first place, believe that the German labour market would be the source of much wage push inflation. Another cyclical indicator which was published recently was the German PPI data from industrial production (domestic sales) showing a 1.9% increase y-o-y. 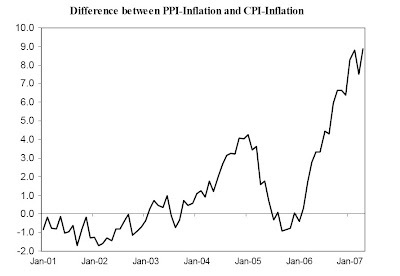 This was then noted by Bloomberg as the slowest decline in three years and it further suggests that the inflation bug migh not be as bad as imagined. 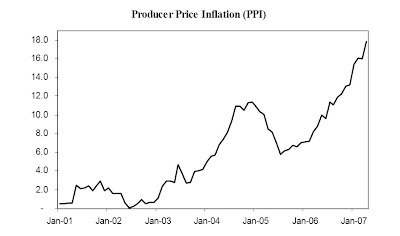 Remember also here that PPI data is a lagged indicator of wage pressures. Regarding the general inflation data from Germany and the Eurozone the HCIP showed a stable rate of 2% in May just above the Eurozone average of 1.9%. Coupled with recent data on domestic demand operationalized by retail sales which still seem to fall short of this self-sustaining recovery narrative the main issue, I think, still revolves around just how strong domestic demand is in key Eurozone countries. 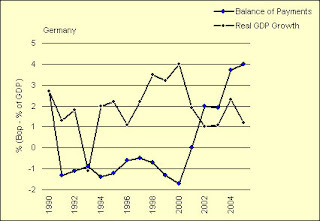 Of course, in Germany we always need to remember the external trade balance and what is still, quite frankly, remarkable performance figures. 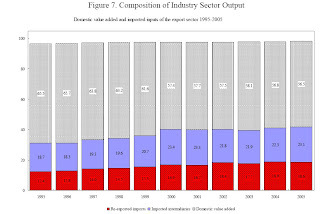 As such the German statistical office just adjusted the surplus for 2006 to EUR 164.6 billion which signifies that the value of exports exceeded the value of imports by a whopping 22.5%. 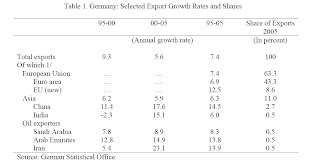 At the present juncture this of course somewhat backward looking but it still suggests that exports remain very strong in Germany from a general structural perspective. Rising borrowing costs and the strength of the euro may curb the pace of growth in the second half of the year. The euro has risen almost 7 percent against the dollar in the last 12 months, making European exports more expensive abroad. Manufacturing orders in Germany fell for the first time in three months in April, and French and Italian industrial production both unexpectedly declined. French consumer spending on manufactured goods fell last month, while the ZEW gauge of German investor confidence unexpectedly dropped in June. The ECB on June 6 raised its key rate to 4 percent and indicated further moves may be in the pipeline to contain inflation. The measures of input and output prices in today's composite PMI report both increased. ``This could be of concern to the ECB, which had highlighted the risk of high capacity utilization boosting inflation,'' said Sandra Petcov, an economist at Lehman Brothers in London. I have no time at this point to go into this but reading through Edward's recent posts here at GEM you should get an idea. I mean, just who knows why capacity is declining at this point? And what happens on the flipside of this cycle if capacity in key economies is inelastic to the stimulants offered by monetary policy? 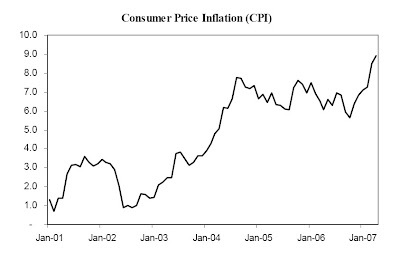 I will tell you what, deflation! Ok this might be a scare monger scenario but I do feel as if we are playing into something here which is not very well understood. The decline last month may reflect higher interest rates, said Jean-Christophe Caffet, an economist at Paris-based Ixis. 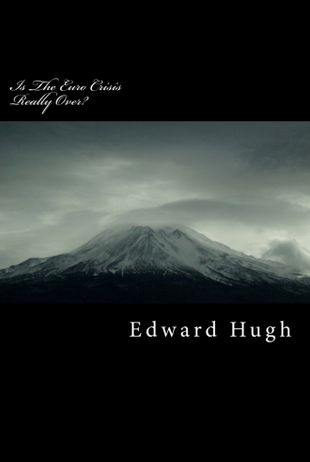 ``We're seeing a slowdown in credit,'' he said. The European Central Bank this month lifted its benchmark rate to a six-year high of 4 percent. My guess is that we will, very soon, see the ECB taking heat as many times before from various political angles. Of course, this has not and should deter the central bank but it does tend to make things more complicated. The last thing I want to comment on in this note on the Eurozone is the recent data on construction output. On a seasonally adjusted basis output fell in April from March by 0.9%. On an annual basis growth was positive but significnantly lower in April than it was in March. It is of course difficult ot discern a general trend from this but we need to hold this together with the data showing a slowdown in mortgage lending in the Eurozone. 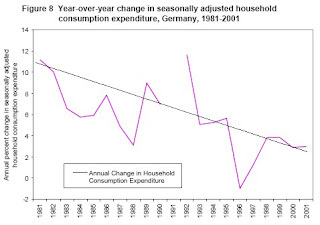 As such, at some point the ECB's hiking campaign is going to bite and one of the areas is of course regarding home mortgages and as such also construction activity. 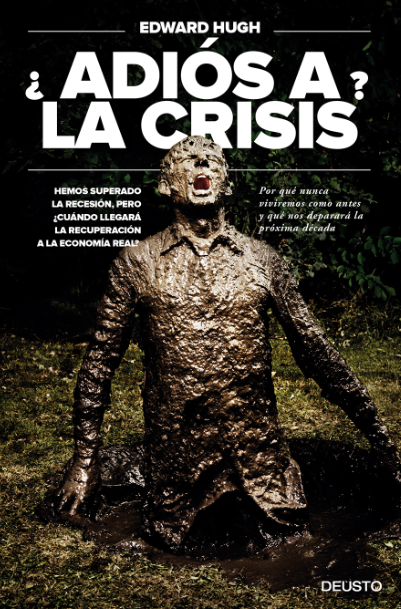 I am not saying that the construction industry in Spain for example is crashing; it clearly is not. 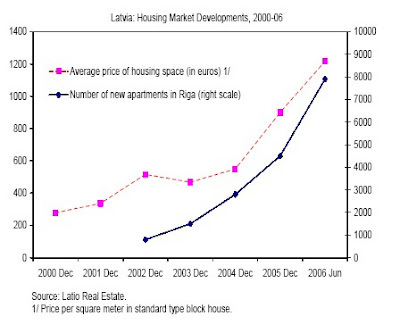 But to the extent that the housing market in many Eurozone members have been very hot lately (e.g. 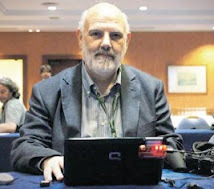 in Spain, Ireland, Greecen and France) this is clearly going to come off the its high ground now even if it is not in any sense of the word crashing. All this is difficult to say without digging much deeper into the specifics but still it is something to watch out. The only thing missing here is of course an interest call on the future course of the ECB in 2007. In many ways, I have already dealt with this in my previous notes on the ECB decision to take the refi rate to 4% a few weeks back. For all intent and purposes it is very difficult, at this point, not to expect the ECB to take it to 4.25% at some point in 2007. Both the recent remarks from the ECB, the Euribor futures markets as well as forecasts from Morgan Stanley indicate this. I remain skeptical on this and I clearly do not agree with Morgan Stanley when they open the door to a refi rate as high as 4.75%; this I think is highly unlikely. What I think is important is that the ECB from here on quite simply have to become more data dependant as it clear that restrictive territory is moving ever close if the threshold has not been passed already, at least in Italy's case. In that respect, the data fielded above paints a less favorable picture than the ECB had expected or at least, this would be my guess. Also, at some point it will be interesting to see whether the ECB can keep on maintaining its cyclops eye fixed on aggregate inflation and monetary measures. As for my official interest rate call I have nudged it up to 4.25% based more on what I think will happen than I think should happen. 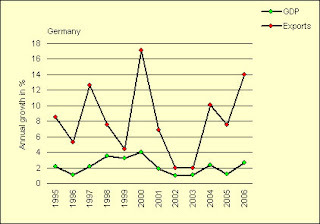 One thing I think however to be crucial is the incoming real data on domestic demand in Germany and Italy. Today adds a couple of new interesting data points which conform with the headline of a mixed outlook for the Eurozone. Firstly, it seems as of business confidence in Germany may have finally topped although we need to remember that sentiment on a relative basis is still on an all time high. German business confidence fell more than economists forecast in June after a rebound in oil prices and higher borrowing costs raised concern growth in Europe's largest economy may have peaked. The Ifo institute's sentiment index, based on responses from 7,000 executives, fell to 107 from 108.6 in May, the Munich-based research institute said today. Economists predicted a decline to 108.4, the median of 43 forecasts in a Bloomberg survey showed. More evidence of a relative easing of momentum in the Eurozone comes from industrial orders which fell in April. I do think we need however to be cautious here since the number after all is from April and with the latest news from the US about how Q2 growth might even pick up we should perhaps expect a reverse in this in the months to come? European industrial orders fell in April as the higher euro damped exports of the region's textiles and machinery. Orders in the euro area fell 0.4 percent from the previous month, the European Union statistics office in Luxembourg said today. Economists had forecast a decline of 0.8 percent, according to the median of 15 estimates in a Bloomberg News survey. From a year earlier, orders increased 12.2 percent, compared with an 8.1 percent rise in March. And finally some good news albeit the fact that it is not really in the bank yet. 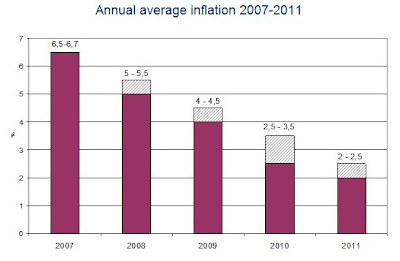 Still, the French statisitical office revised its growth forecast upwards today for the last two quarters of 2007 (to 0.7%). All in all, if the INSEE predictions for the Q2-Q4 07 come through France will be looking at an annualised growth rate of 2.5% which is not bad at all. French economic growth will accelerate in the second half of the year as consumer spending picks up, according to Insee, the national statistics office. Paris-based Insee predicted Europe's third-largest economy will grow 0.7 percent in each of the next two quarters from the previous three-month period after 0.6 percent in the current quarter and 0.5 percent in the first three months of the year.